Preheat a grill for medium-high heat. When the grill is hot, lightly oil the grate. Place the pepper pieces onto the grill with the inside facing down. Cook until slightly charred, 3 to 5 minutes. 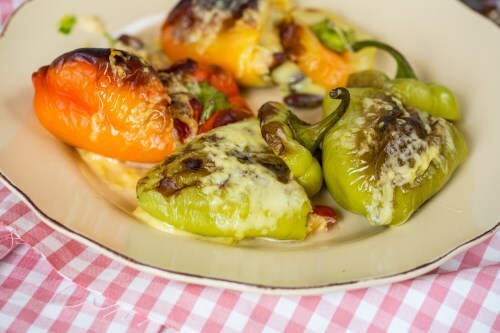 Turn peppers over, and place jalapeno slices onto them. Top with some mozzarella cheese, and sprinkle with a bit of oregano. Grill until cheese melts, then remove to a plate and serve.